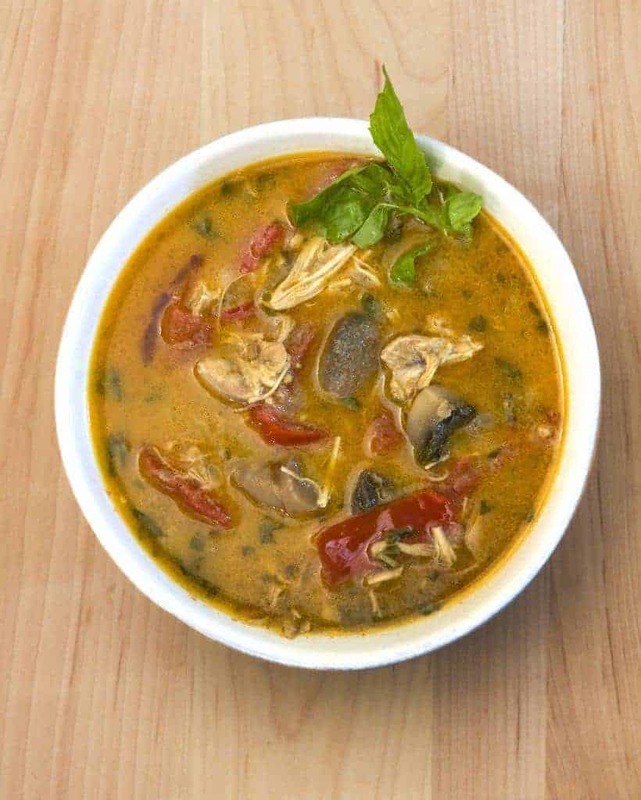 Low Carb Thai Yellow Curry Soup that uses curry paste, coconut milk, and some fresh vegetables to provide a savory, comforting twist on regular chicken soup. 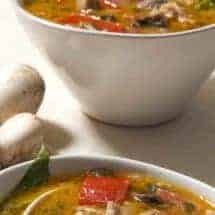 This is a recipe for how to cook Thai Yellow Curry Soup that uses curry paste, coconut milk, and some fresh vegetables to provide a savory, comforting low carb twist on the regular chicken soup. This soup is well-spiced, but not spicy, and you can vary the spice level by adjusting how much yellow curry paste you choose to put into it. A word about the use of Thai curry paste: I rarely use pastes and pre-made spice mixes in my cooking–except when it comes to Thai Curry pastes. These mixes are so full of such a variety of ingredients, the average home-cook would be hard pressed to find or buy each little ingredient that goes into it. So I do purchase ready curry pastes for this soup, as well as for my Thai Green curry dish. You can definitely make this a green curry soup by using the same paste you bought for the Green Curry. In fact, that’s how I had first made it. But my pictures for it were so ugly that I decided to redo this soup (and I was also craving it to be honest) and all I had was yellow curry paste. So that’s what I made. If you’re looking for more delicious curry recipes, check out my Basic Indian Curry! 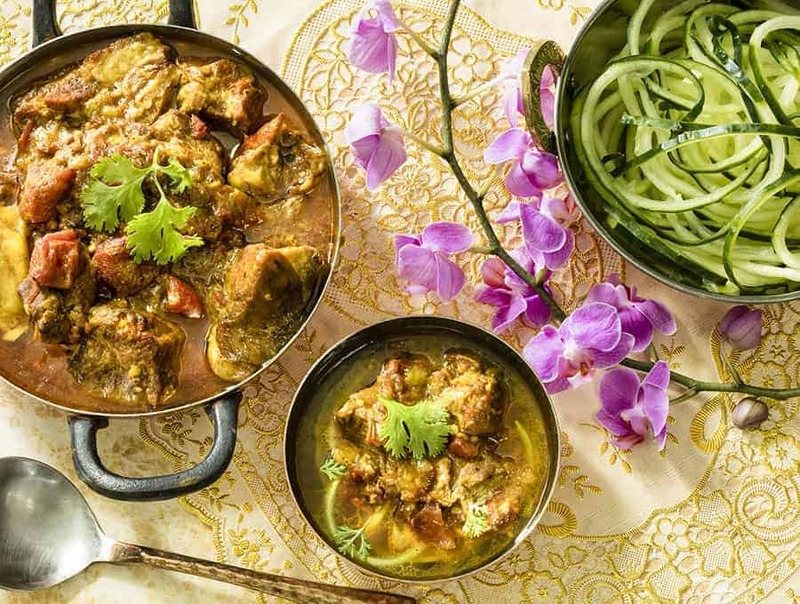 It’s a savory Indian comfort food that you’re sure to love! 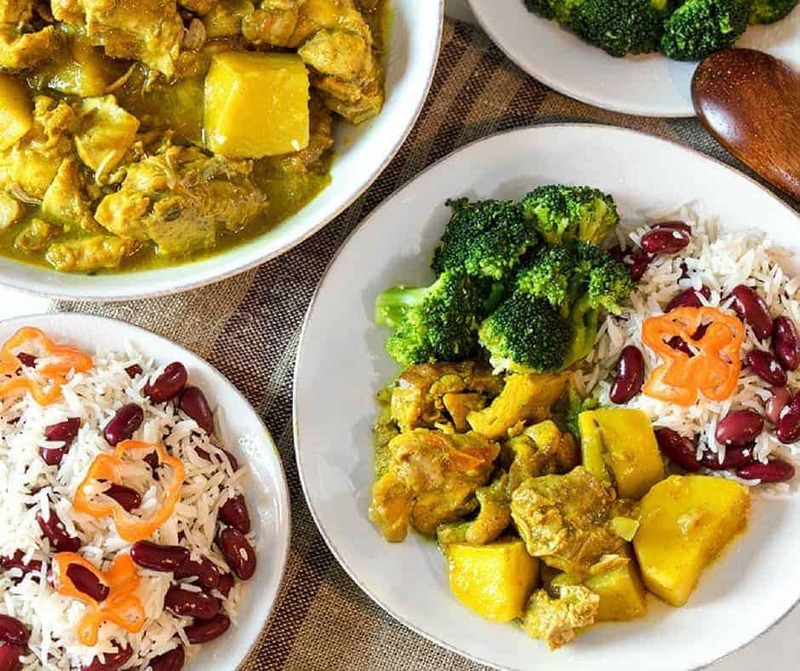 You’d also love my Instant Pot Jamaican Chicken Curry! It’s spicy, authentic and done in just 20 minutes! I’d been living off bland food for a while. I was so sick of chicken broth, rice, and potatoes, I could scream. But I was told to slowly advance the diet, so I made soup. On the heels of the success of my Indian Chicken Curry Soup, I made simple modifications and made a Thai yellow curry soup instead. 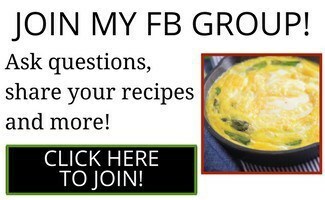 I’ve provided directions for Instant Pot, Stovetop, and Slow cooker so you can choose how this works best for you! 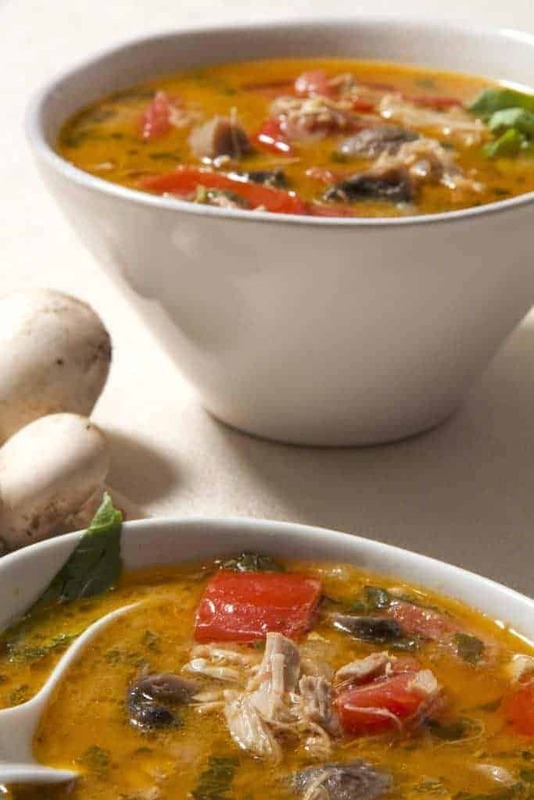 Low Carb Thai Yellow Curry Soup that uses curry paste, coconut milk, and some fresh vegetables to provide a savory, comforting twist on the regular chicken soup. I made this tonight, using your new Keto cookbook. Didn’t have yellow curry paste so used green. Delish!!! Hubby missed the heat, so next time going to try using red paste. Thank you! The flavors in this dance on your tongue. My husband and I both loved it! Bonus that it’s easy to make, also. Does this make a “hot” spicy soup, or more like the flavor profile in the tikka masala and such? I know that a lot of Thai food is very spicy and I have an Indian food loving daughter that doesn’t like a lot of heat. Was concerned about the curry paste. it doesn’t. You can also reduce the curry paste though. I made this tonight. So delicious!! My husband raved about it all night. I do wish the recipe made a larger amount. Next time I’ll double or even triple the recipe. 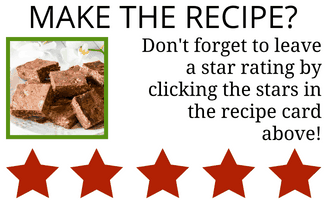 Definitely a top ten recipe! 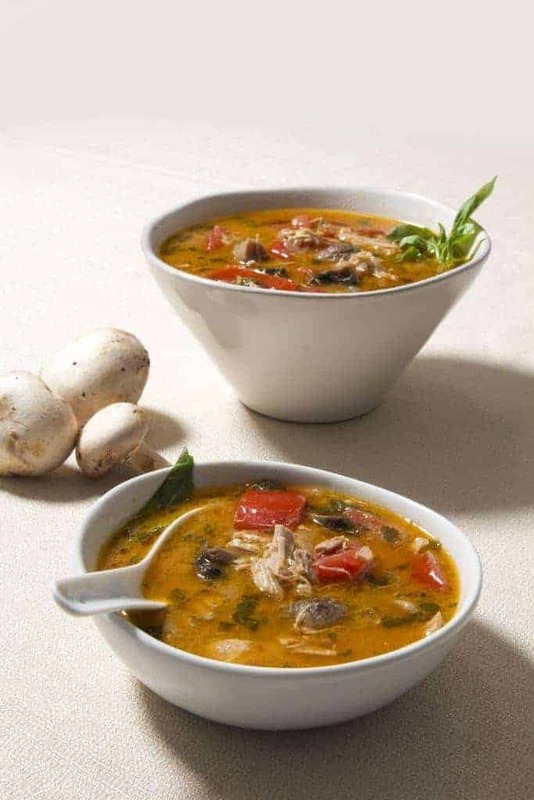 Delicious and easy – my perfect combo. This is in the regular rotation now. I just finished making a slightly modified version of this. I substituted breast, that’s what I had. I also added a cup of water. When it was all finished, I added a handful of rice noodles. No chicken broth at all? There isn’t enough liquid in mine to serve 6 people? I’m so confused. Thanks for the quick reply! 🙂 I decided to double the coconut milk and other liquid ingredients. Thank you! It smells so good! What am I doing wrong? I see the pictures, a lot of commentary.. and absolutely no recipe. Hmm lemme look for it. Okay so I can’t see jt either and I’m not home. But I pasted quick instructions. I hope that helps for now and thank you so much for letting me know! 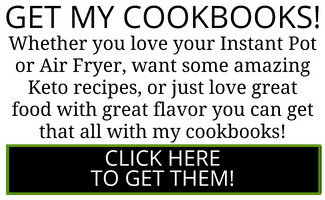 I can’t wait to get your new recipe book!